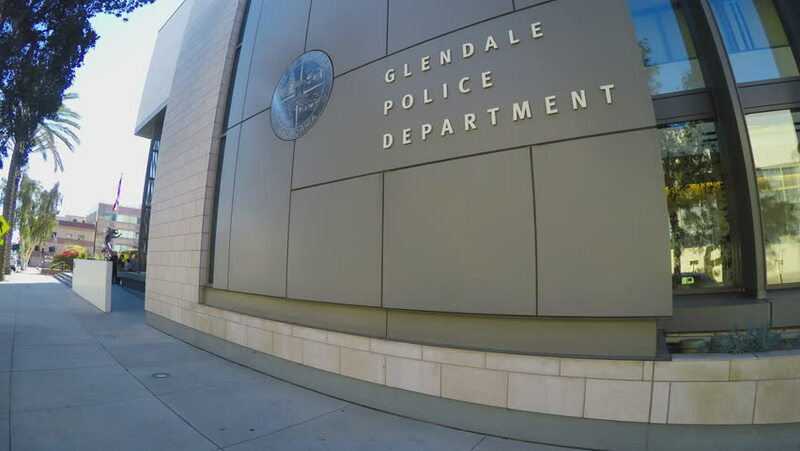 GLENDALE, CA/USA: February 21, 2016- Shot of the Glendale California Police Department headquarters building and sign. The front of building and sidewalk along the road can be also seen. 4k00:06Belfast, Northern Ireland, UK, July 27, 2017. Pan of the front of the Titanic Building showing people entering and leaving. 4k00:10Vladivostok, Primorsky Krai - April 3, 2019: Svetlanskaya street with views of the post office building and attractions nearby. hd00:28LJUBLJANA, SLOVENIA - MAY 2014: Dog Parked at Bicycle Stand In front of Bauhaus Mall. Slow motion Ljubljana city life from car side window.